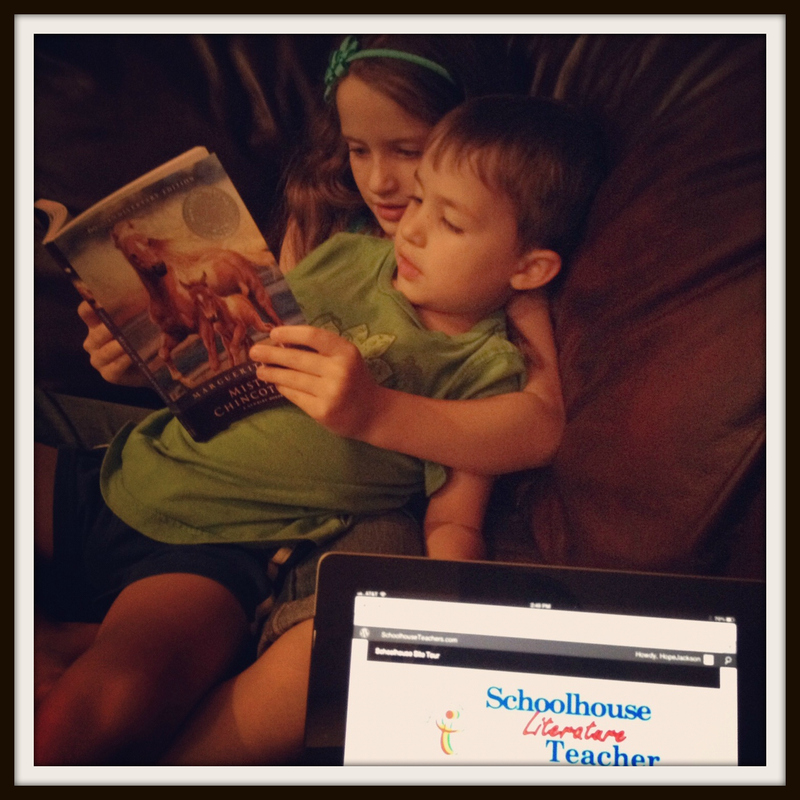 Homeschooling 3: SchoolhouseTeachers.com: Your One Stop Curriculum Source! SchoolhouseTeachers.com: Your One Stop Curriculum Source! SchoolhouseTeachers.com, a division of The Old Schoolhouse Magazine, is a thorough online resource for all of your education needs, from Pre-K through high school. It is designed to aid homeschool teachers in quickly finding ready to go lessons. Each lesson is developed by a leading expert in their field, in virtually any subject, along with an abundance of extras and features. I do have a confession to make. I found myself in information overload the first night I logged on. Luckily, it was after the kids were in bed. I spent two hours exploring and becoming familiar with SchoolhouseTeachers. There is so much fabulous information packed into this one site. I was and still am completely amazed. I do have one more confession. I didn't watch the introductory videos. My night would've been much easier if I had. Nonetheless, now that I am familiar with the layout and content of the website, I can easily and quickly find lessons and activities to benefit our family. I like opening the site and looking for spontaneous inspiration and going with that lesson, right then! It's nice to change the pace of the same ol same ol and spruce things up a bit! ~ Some lessons, for example Everyday Easel art classes, which are absolutely phenomenal, or craft classes usually require additional materials. We all loved Pre-K Activities: Read and Play. The lessons include activity ideas to go along with a piece of literature such as If you Give a Mouse a Cookie and Panda Bear, Panda Bear, What Do You See? The lessons are generally two weeks long per book and include about five activities per week. In the Craft Shelf section, under August, we found a recipe for Kolaid playdoh! Super fun and easy! We read Misty of Chincoteague and followed the Literature class guided lessons or as the author (Adam Andrews from Teaching the Classics) calls it, conversations. This particular lesson is a four week course. All lessons focus on reading comprehension and literary analysis - we used story charts for the first time! I printed numerous, fabulous notebooking pages found in the Schoolhouse Planners. We enjoyed reading through the July Monthly Theme: Grasping a Foreign Language and discovered how learning one can benefit each of us. Daily Grammar is something we'd try regularly, also. I'd just look through the topics and pick an appropriate skill for extra practice. There are many more we've tried, but there's so much more I want to share with you. So, I need to get on with the review! ~ I will be listing several sample lesson pages, too! To help give you an ever bigger peek into SchoolhouseTeachers.com, I will link to introductory videos (the ones I should've watched first! ), list the classes offered, extras, and features. I believe you will find SchoolhouseTeachers.com will please a wide range of homeschool philosophies and learning styles. Here, is the link to the introductory videos I promised. Now, lets take a closer look at the contents of SchoolhouseTeachers.com and a few sample pages. And the list will grow! The next tab is Schoolhouse Extras. I can't wait to share with you what's under this tab. It's many peoples' favorite resource. It's worth far more the subscription price AND it's considered an EXTRA! While looking through the Primary Planner, I found notebooking pages galore! There could be a full review devoted entirely to just the planners. Finally, we find ourselves at the newest and last tab titled Schoolhouse Samples. This is a tab that I've linked to numerous times in the body of this review. Here it is one last time! The first month is offered at just $1! There after it is only 5.95 a month. You can cancel anytime. There is also an option to purchase a year long membership for a 10% discount price of $64.26. You can view the sign up page here. Final Thoughts: SchoolhouseTeachers.com is an immense website offering inspiration and guidance to homeschoolers. If you find yourself overwhelmed by the possibilities, that's ok. I did in the beginning! Don't hesitate to reach out to SchoolhouseTeachers.com. Everyone is super friendly and eager to help! I am more than pleased with the content and intend to continue to supplement our studies with SchoolhouseTeachers.com. Great job, Hope --- this looks really interesting to me. Your review was SO thorough! !